I hadnâ€™t drawn much anything of a KH enemy in a long while. This is an Unversed based off of Dorky Face from Final Fantasy VII. I was going to use pink for the bow tie, but I went with pale rose for more realism. I also added some spikes to its eyes to make it look more ladylike. Description: These Unversed love to bounce around playfully causing mischief whenever they can. They appear in large groups, and in three sizes: small, medium and large. Blizzard is their weakness, but itâ€™s better and quicker to use area-based attacks like Thunder or Aero. -Funny Breath: Its mouth turns purple as it breathes. Anyone unfortunate enough to get caught up while be Confused for quite a bit. 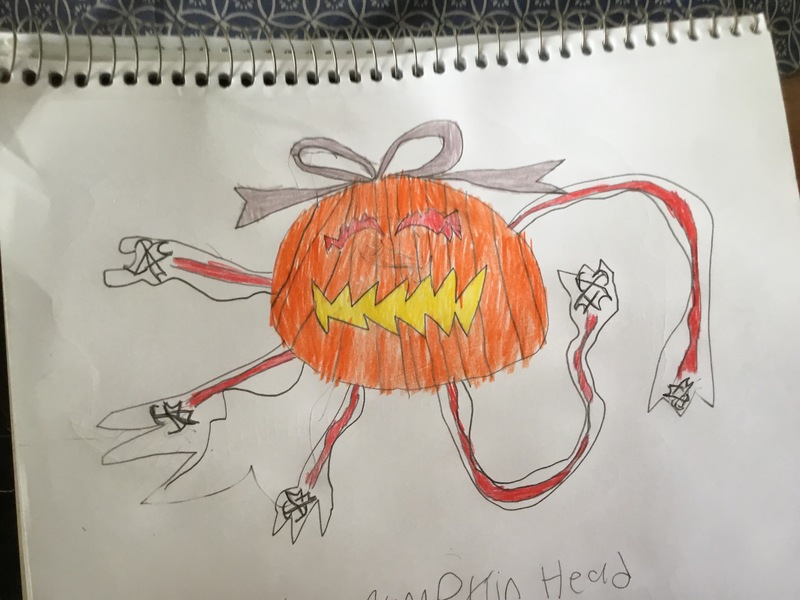 -Swipe: Pumpkin Head slashes at the enemy. -Cursed Slash: A powerful slash that paralyzes its target upon contact. -Hot Lips: Pumpkin Head spits out fire, with a small chance of Burning whoever it hits. -Ghastly Love: Pumpkin Head grapples whoeverâ€™s nearest to it and drains their HP slowly.